KB Global Carriers is committed to protecting your privacy in accordance with the highest consumer protection standards. KB Global Carriers is the owner of all the Personal Information collected on our Websites or via the Bookings. We do not sell or rent any Personal Information to third parties. In making a Shipment Order on our Websites, you may not choose the option to send your quotation to a friend, in which case an email with your quotation, such as freight charges, is sent to the email address that you specify. Your friend's email address cannot be used solely for the purpose specified above. 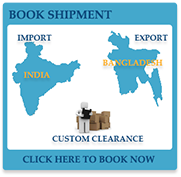 To successfully execute your shipment or purchases or otherwise implement our terms of service, your Personal Information is provided as needed to third party product and service providers and distributors including without limitation the truck suppliers, customs department or other third parties authorised by KB Global Carriers, whenever you purchase or execute shipment with KB Global Carriers. KB Global Carriers may also work with third parties that serve advertisements to our Websites and across the Internet on our behalf. Such third parties may (a) collect anonymous information about your visits to our Websites, and your interaction with our products and services, and (b) use information about your visits to our Websites and other websites to target advertisements for goods and services. This anonymous information is collected through the use of web beacons such as but not limited to pixel tags, which is industry standard technology used by most major websites. The web beacons may be used with cookies to compile aggregated statistics to analyse how our Websites are being used and may also be used on some of our emails to let us know which emails and links have been opened by the recipient. This allows us to gauge and monitor the effectiveness of our customer communications, advertisements and marketing campaigns on our Websites and across the Internet. No Personal Information is collected or used in this process. You should also note that the processing of Personal Information on our Websites and the transmission of transaction messages relating to your travel reservations or purchases or Bookings, including your Personal Information, may involve transmissions over various networks (which may not be secure) and to various countries (including the US) and further processing and storage of data in such countries. To effect a corporate transaction, in connection with the sale, merger, acquisition, spin-off, or other corporate reorganisation of our corporation, where your Personal Information may be disclosed, shared or transferred to the new controlling entity or other such authorised third party in the regular course of business.